Are you a green, ethical or local businesses with green values? Would you like your video to feature here? If you are interested in including your video in this Green Video Gallery read on here. If you don’t have a video and would like to commission one or perhaps need an existing video updating, then contact info@takeoneproductions.co.uk or call 01403 256255. 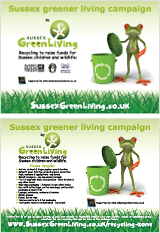 Sussex Green Living works in partnership with Take One Productions (UK) Ltd to harness the power of video communication for the green sector, learn more here. * Produced by Take One Productions. There are also a limited number of banner advertising opportunities throughout this site, which you can learn more about here.